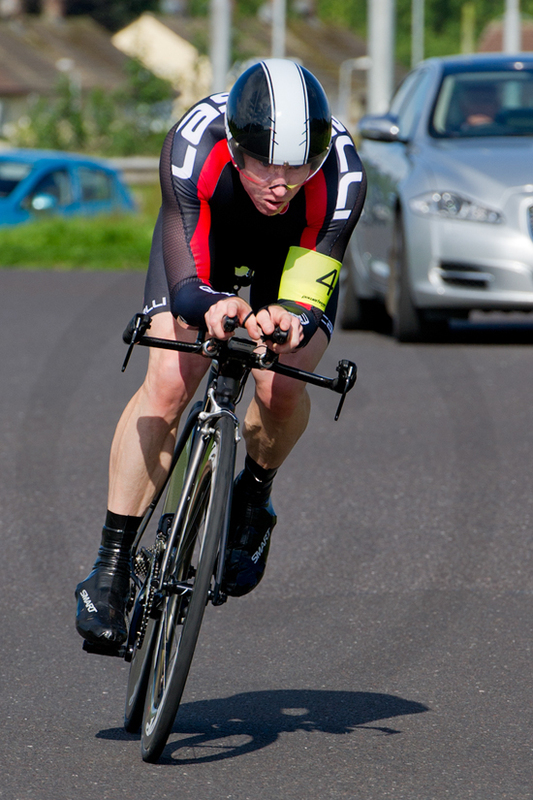 Island Wheelers promoted an excellent Ulster 25 mile TT Championship today on the Dungannon Rd circuit. Marcus Christie of Team Asea Wheelworx was the fastest overall lifting the Senior men's title with a time of 49.17 followed in by Craig McAuley (Caldwell Cycles) with 51.59 and Chris Hutchinson (Team Madigan) with 53.56. As expected Eileen Burns of Ballymena CRC was the Elite Women's Champion with Claire McIlwaine of Phoenix CC taking silver. 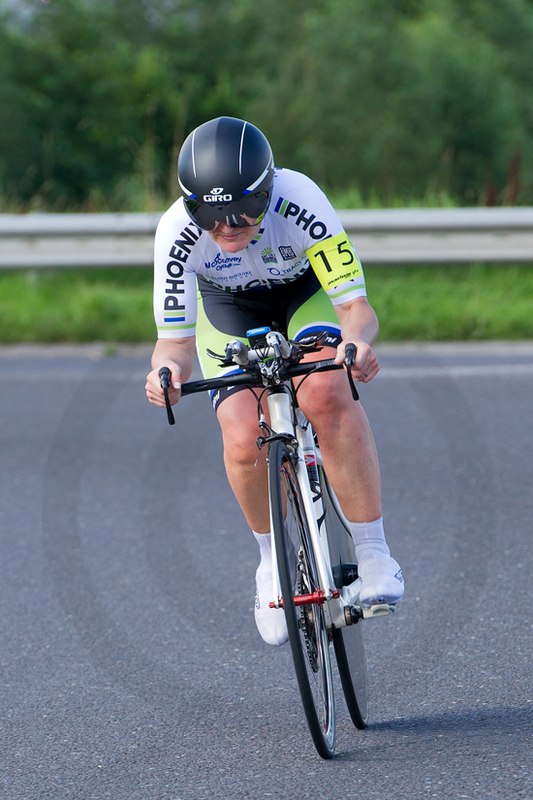 While Karen Hull of Phoenix CC was third and in past years would have lifted the bronze medal, the rules imposed by Cycling Ulster this year see Karen lose out on a medal. The new ruling by CU affects some of the other categories and other Ulster Championship events and is perhaps something that should be addressed at the CU AGM. In the Junior Category Conor McCann of Asea Wheelworx took the Gold medal in a time of 54.25 with Nathan Weir taking silver in a time of 56.25. 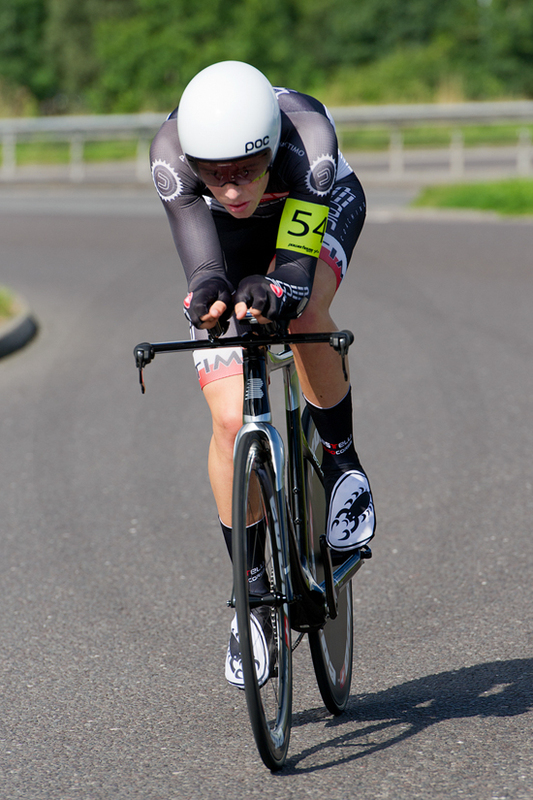 This was a great ride by Nathan who is recovering from injuries received at last week's North Down GP. Unfortunately under the new rules imposed by the CU Executive, third placed Junior, Xeno Young, of Powerhouse Sport did not receive the bronze medal. 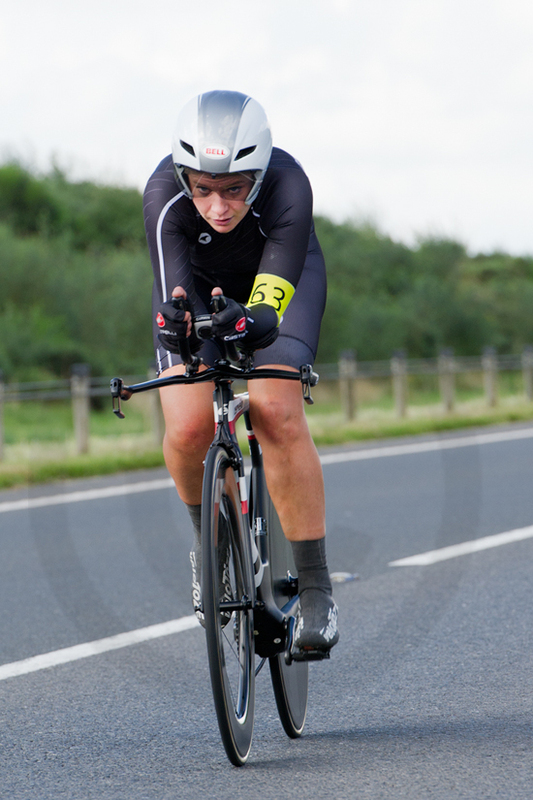 The riders in the M40 category fared a little better as the full three medals were awarded. John Rafferty of North Down claimed the Gold with a time of 54.02 while Inishowen rider Damian Lagan took silver with 56.50. Kevin Lynch of Newry Wheelers was in the bronze position some six seconds later. In the M50 class only two medals were warded with John Madden of Inspired Cycling taking gold with 54.02 while Sharman Crawford (Bann Wheelers) took silver with 58.46. Gerry Maguire (Phoenix CC) missed out on the bronze with his 58.58. The M60's fared a little better with three medals being awarded. 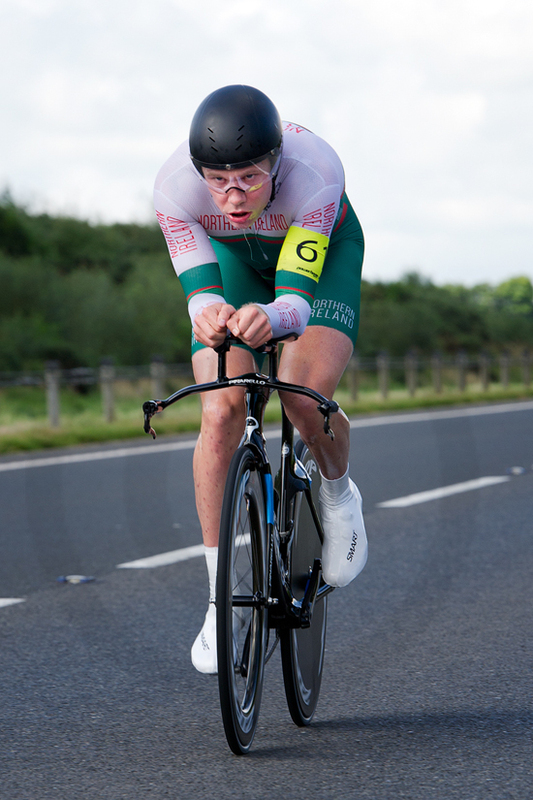 Sean Hargan of Phoenix CC took the Gold in a time of 59.14 while Bann Wheelers rider had to be content with silver notching up a time of 1.01.03. Harry Martin of Clann Eirean took bronze in a time of 1.06.37. In the veteran women's category only one medal was awarded and this went to Judith Russell of Phoenix CC. Joanne Regan of Termoneeny was second with Island Wheeler's Sheena O'Neill in third. Unfortunately neither of these riders received a medal. With the good entry there was enough to enable the awarding of three sets of team medals with Newry Wheelers taking the team title with a combined time of 2.45.49 followed in by Carn Wheelers with 2.48.52 and Phoenix CC with 2.50.03. From the information we received Darrell Erwin of Ballymena CRC was the only para cyclist to take part. Despite recording an excellent time of 1:41:23. This will be the first year that Darrell has not received an Ulster medal. There are also some lovely trophies provided by Martin Birney of SportActive for most of the winners in all the Ulster Time Trial Championships. 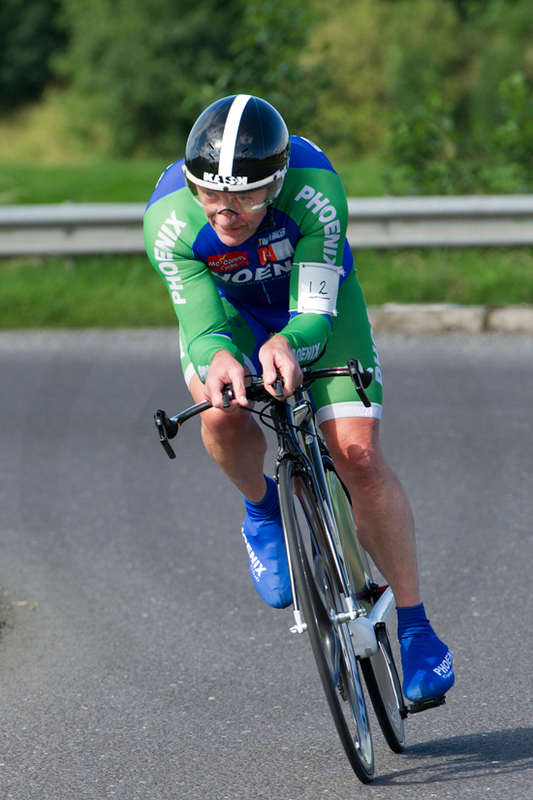 Martin is a long term supporter of time trialling in Ulster. Island Wheelers promoted an excellent event with lots of marshalls out along the course and they are to be congratulated on their attention to detail. We will bring you the full results when we have them. Excellent pics of the event were also taken by Ian Weir. Check out his Facebook Page for more pics.